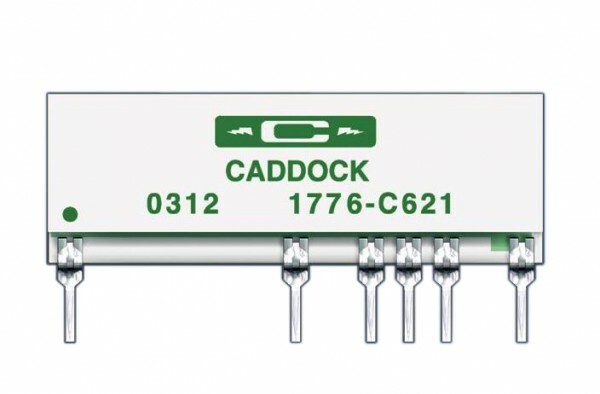 Product information "1776 Precision High Voltage Divider Networks"
The exceptional performance of this extensive family of 1776 Precision Decade Resistor Voltage Dividers has been achieved through the special combination of advantages provided by Caddock's Tetrinox resistance films. This advanced film resistor technology provides the performance characteristics required by the precision input signal ciruits of both bench-type and laboratory digital instruments. 3, 4, and 5 - decade voltage dividers with ratios from 10:1 to 10,000:1. 1,200 volts continuous ratings and overvoltage to 2,000 volts. Many combinations of Ratio and Absolute Tolerance, and Ratio and Absolute Temperature Coefficient. Related links to "1776 Precision High Voltage Divider Networks"
Customer evaluation for "1776 Precision High Voltage Divider Networks"